Set includes 20"H table gray top with blue trim and four 11"H chairs in royal blue. Safe, soft, rounded edges, highly durable. 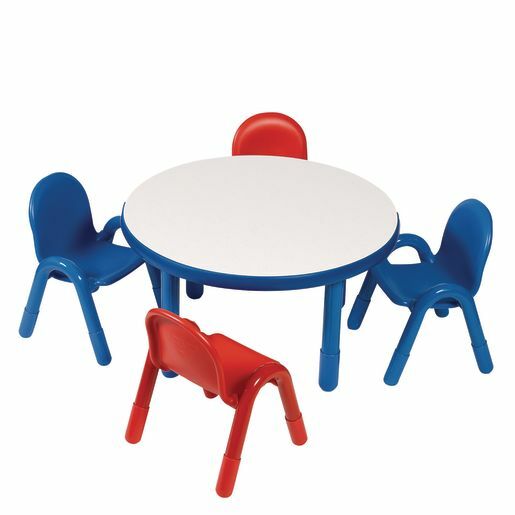 Ideal for classroom seating, play and art exploration stations, art tables, and general classroom seating.